A Late Start To The Golf Season Presents Its Challenges! I'm guessing I'm not the only superintendent with a lengthy "To Do" list. April is always a busy month, but this year the pressure is magnified due to the late start. In a normal season, we are at least on the course in March cleaning up the debris from winter. We started working the course the second week of April this year. The ground was still frozen in week one. By week three we were knee deep in green aerification, overseeding and topdressing. Throw in the fact that we had to prepare the course for play by putting supplies out, mow fine turf areas and try to get sixty-two bunkers playable for Opening Day on April eighteenth shows we are stretched thin. This is a minor glimpse at my list of things to do, which at last glance, is near fifty items. It obviously changes daily. I can't emphasize enough the importance of the items you don't see. It is critical that their timing trumps some things that are visible to the players right away. What you don't see today would be visible soon and playability and turf health would suffer long after. The course opened for the first time, with carts, on April eleventh. Seventeen days ago. During that time we had six days with varying degrees of rain and five frost delays. Yes, I'm trying to paint a picture. We are working hard to get the course in prime shape! Trust me when I say... We Care! 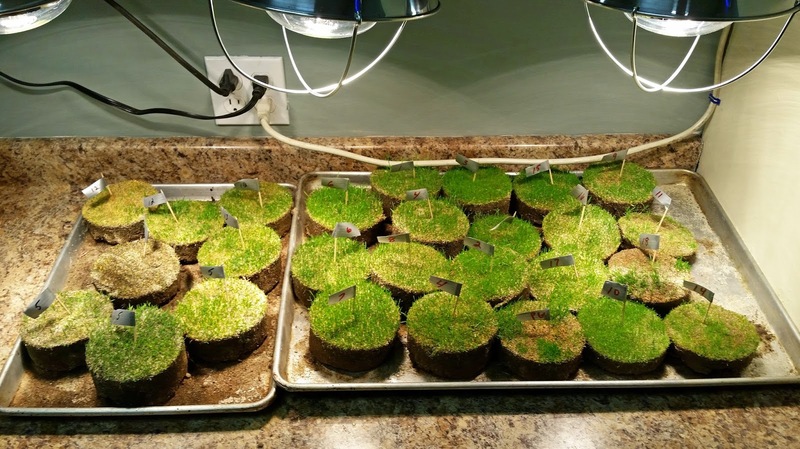 The extreme winter conditions certainly put the turfgrass to the test. We still have remnants of snow here and there but it is mostly gone. There is a layer of frost at approximately six inches deep. 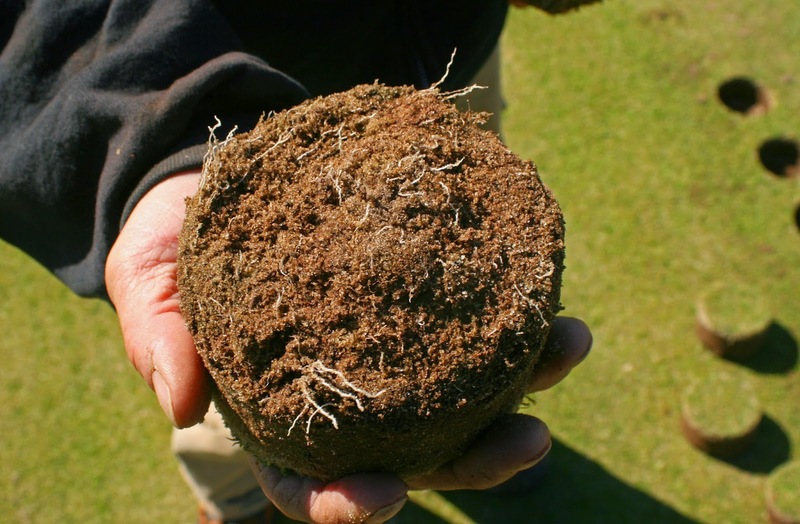 The frost layer depth is important to know because turfgrass roots are frozen in it. Traffic on the surface causes shifting and shears roots off (obviously detrimental). I am optimistic that this will cease to be an issue in the next couple days. We are expecting warm temperatures and rain. The ten day forecast looks great once we get past Friday. On to the good stuff! 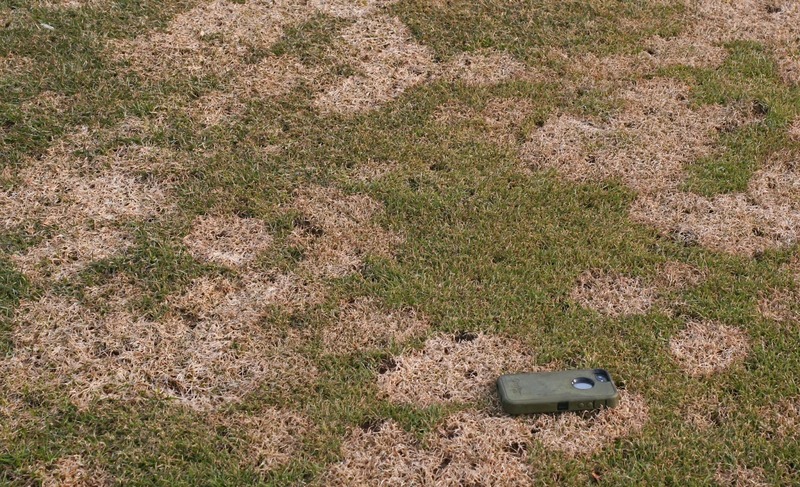 There is quite a bit of snow mold disease in our rough and on fairways. It looks ugly but it will be fine. A couple of mowings and a little growth and it will heal on its own. 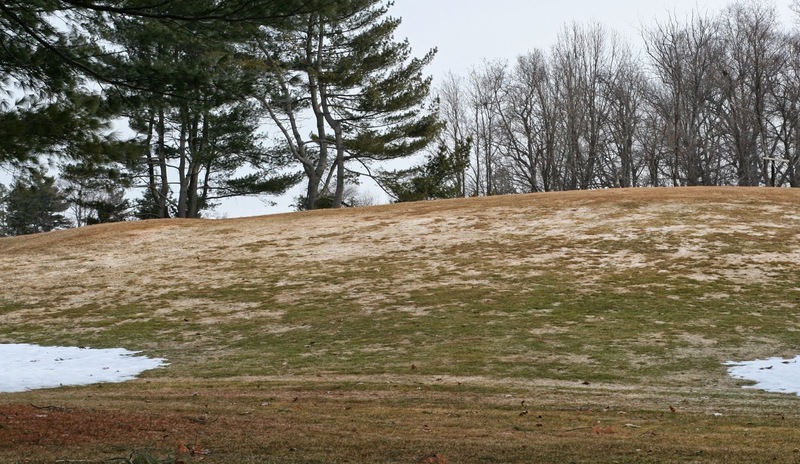 There is no snow mold on any greens or tees because plant protectants are applied before winter sets in. For the most part we don't see much damage. 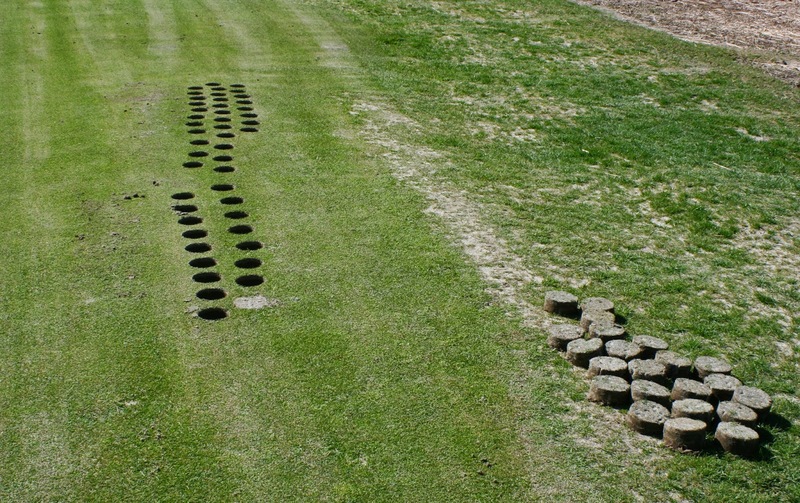 Assessment of turf damage is always tricky. Our best method of discovery is to take sample plugs from the WORST looking areas on greens and bring them into the maintenance facility. 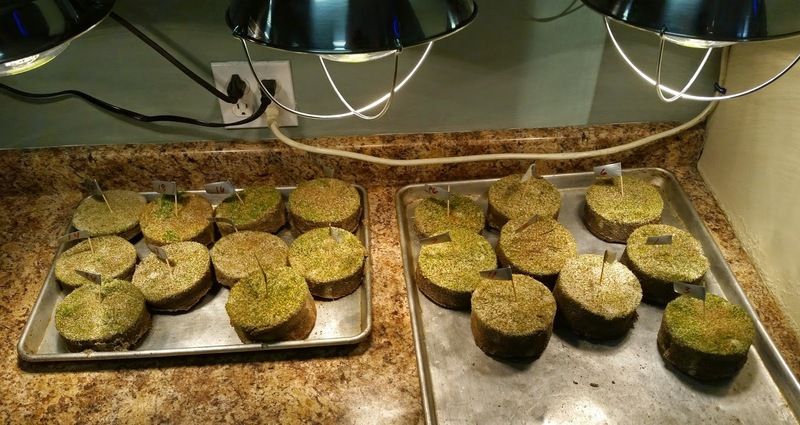 The samples are labeled and placed under heat lamps forcing them to break dormancy. Another indication is to actually smell the samples and see if they have a "swampy" odor which would indicate anoxic (lack of oxygen) conditions. We did not notice that odor. We are seeing some isolated damage but the photos below give you a better picture. I am pleased with results and don't see large scale damage at this point. 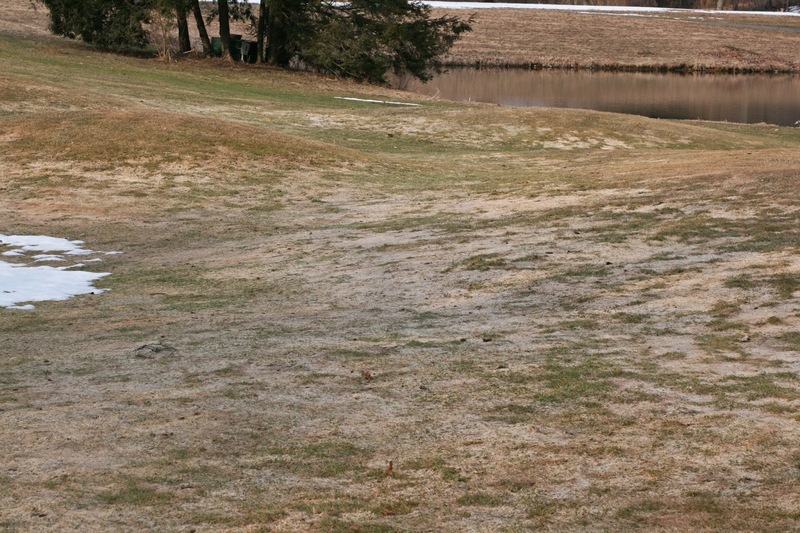 We never know exactly what we have until turf breaks dormancy naturally on the course. If we do have damage, we are prepared to aerify and overseed accordingly. Thankfully, we are scheduled to do our normal aerification beginning Monday, April 13th. Remember, the course will be closed Monday and Tuesday while we are working. No one is more excited than I to get the season going. 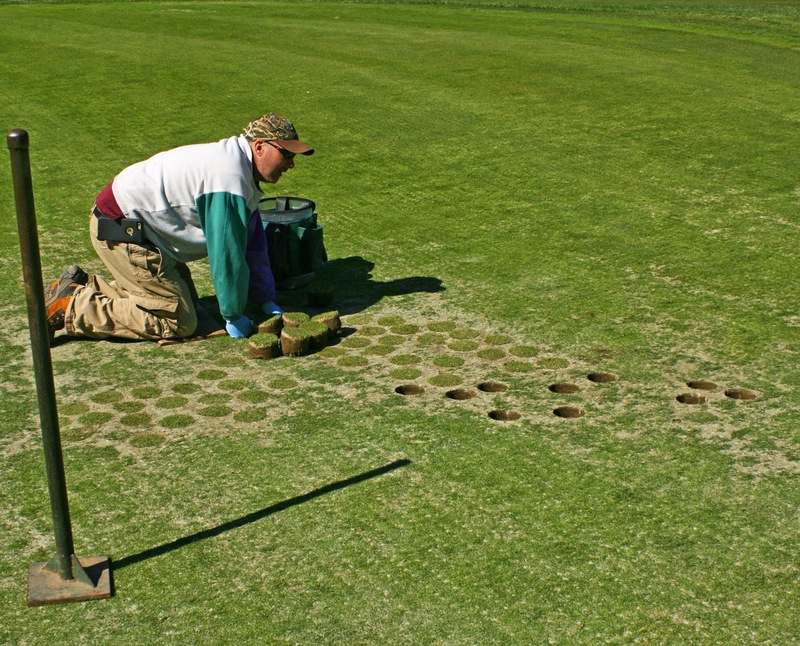 Aerification is incredibly important, especially after such a turf-stressing winter.